Because we love flowers so much, we’re always eager to share the flower love and help people get their hands on gorgeous blooms wherever they are. We’ve been showcasing some of our favorite places to buy flowers, in some of our favorite cities like San Francisco and Paris, and today we thought we’d virtually visit Tokyo and offer a tour of a great florist’s space. We wanted to give Tokyo residents, and visitors, a source for stunning flowers in case they didn’t have a go-to flower shop for impulse purchases or holiday gifts. We recently found the amazing Floris Hiroko in Tokyo, and we thought you might want to read about this family-run shop and find out what’s happening in the world of flowers there. Floris Hiroko sits just a 10-minute walk from JR Osaki Station and a 15-minute jaunt from JR Shinagawa Station. It’s perfectly located for stopping by on your way to work, your hotel, or a dinner party. We love the fact that Floris Hiroko is conveniently situated in Shinagawa and that it delivers to most of the surrounding areas. We also appreciate that this flower boutique is a full English-speaking shop. Thank you, Floris Hiroko! 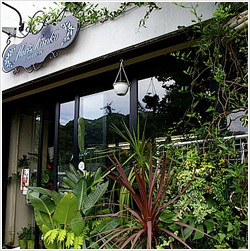 Hiroko Suzuki, Wakako Shibata, and Hiroko’s son Shigetada Suzuki are Floris Hiroko’s proprietors and, together, they bring more than 50 years of floral experience to their shop. Hiroko has worked in the flower industry for more than 25 years. Her greatest passion is creating unique, and beautiful, flower arrangements that bring enjoyment to others. Hiroko says that the shop is her favorite place to be. There, gorgeous flowers surround her all of the time and she gets to help customers design the perfect arrangements for their special occasions. Wakako has worked with flowers for more than 10 years. She has a degree in landscape design and she brings a special artistic approach to Floris Hiroko’s creations. Wakako loves spending time in nature, and she gets much of her inspiration for her flower arrangements when she’s biking or strolling through the green parks in Tokyo. Shige is Hiroko’s son, and he’s been around flowers for as long as he can recall. He studied fine art and international relations at Boston University, and then he returned to Japan to combine his love for art, nature, and meeting new people. He chose to work with his mom, at Floris Hiroko, and he brings his worldly influences into his flower designs. Shige loves working with vivid, tropical colors like you’d find in Bali. He also favors the subtlety and pastels of European arrangements. Floris Hiroko takes the passions, and talents, of all three show owners and turns them into a striking, and inspirational, collection of flowers that we think you should experience for yourself if you’re in Tokyo. If you’re not in the city, but you know someone who is, consider sending him or her an arrangement from Floris Hiroko as a special gift that’s unlike any other. Because we love flowers so much, we’re always eager to share the flower love and help people get their hands on gorgeous blooms wherever they are. We’ve been showcasing some of our favorite places to buy flowers, in some of our favorite cities like San Francisco and Paris, and today we thought we’d virtually visit Tokyo and offer a tour of a great florist’s space.We wanted to give Tokyo residents, and visitors, a source for stunning flowers in case they didn’t have a go-to flower shop for impulse purchases or holiday gifts. We recently found the amazing Floris Hiroko in Tokyo, and we thought you might want to read about this family-run shop and find out what’s happening in the world of flowers there.